WE WANT YOUR ATTENTION !!! by not eating or drinking in it - by not sticking gum on the carpet or furniture. 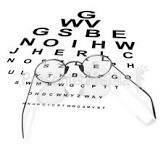 Please help someone to see or hear by donating your old glasses and hearing aids! There is a box in the vestibule to receive your donation. Sponsored by Lions International; Lion Frank Brooks. All organizations planning special events, please provide details of your event to the Commission on Public Relations two (2) weeks prior to the event, so that your event may be publicized to our media partners. Who is your Class Leader? Class Dues are now $10 per quarter. See your Class Leader today! Check the Bulletin Board in the Fellowship Hall for the name of your Class Leader. Membership applications are available at the church office. all parents and guardians are requested to return the completed membership form to the office. Attention: Ben Black. The first year's membersip fee for each applicant attending Cub Scouts meetings will be paid by the church. WANT TO PLACE LIVE FLOWERS ON THE ALTAR ? has placed a box in the Fellowship Hall to receive your donations. Help someone to see or to hear!